Today’s guest blogger is Aleem Mawani, co-founder of Streak, a startup alum of Y Combinator, a Silicon Valley incubator. 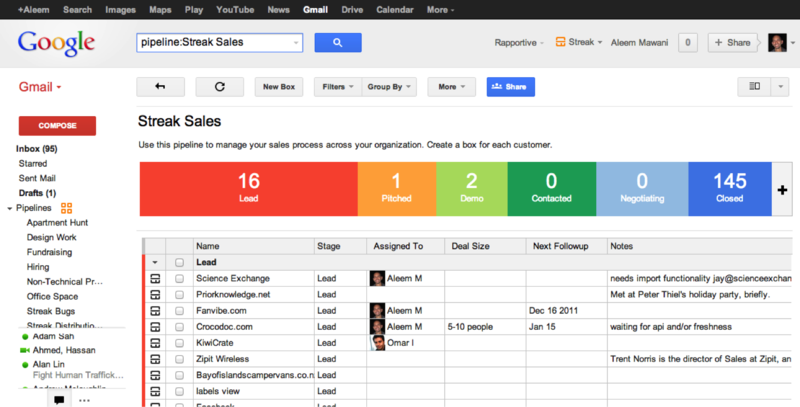 Streak is a CRM tool built into Gmail. Aleem shares his experience building and scaling their product using Google Cloud Platform. Everyone relies on email to get work done – yet most people use separate applications from their email to help them with various business processes. 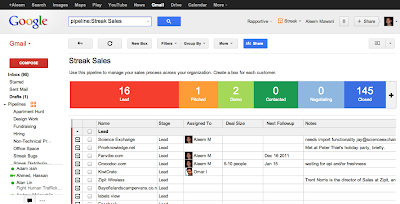 Streak fixes this problem by letting you do sales, hiring, fundraising, bug tracking, product development, deal flow, project management and almost any other business process right inside Gmail. In this post, I want to illustrate how we have used Google Cloud Platform to build Streak quickly, scalably and with the ability to deeply analyze our data. Google Translate API to translate our app to over 40 languages. Our core learning is that you should use the best tool for the job. No one technology will be able to solve all your data storage and access needs. Instead, for each type of functionality, you should use a different service. In our case, we aggressively mirror our data in all the services mentioned above. For example, although the source of truth for our user data is in the App Engine Datastore, we mirror that data in the App Engine Search API so that we can provide full text search, Gmail style, to our users. 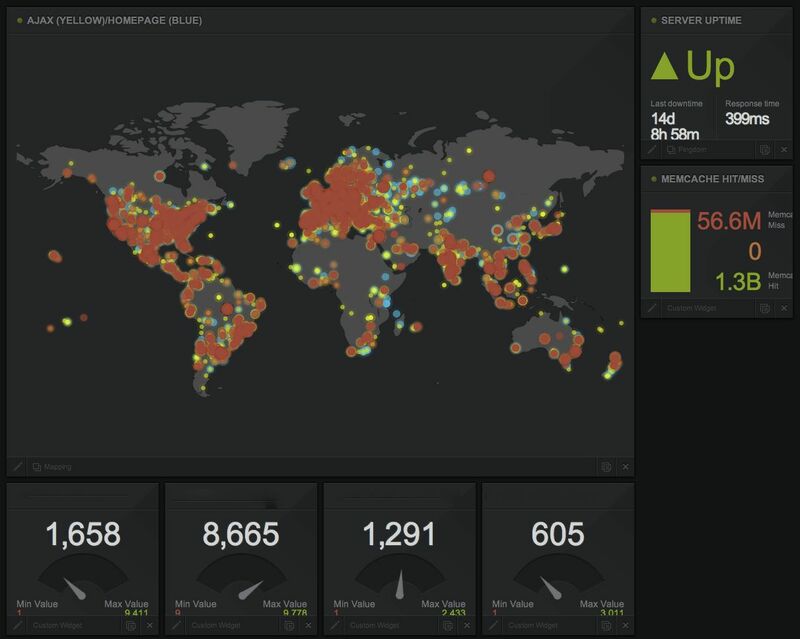 We also mirror that same data in BigQuery so that we can power internal dashboards. 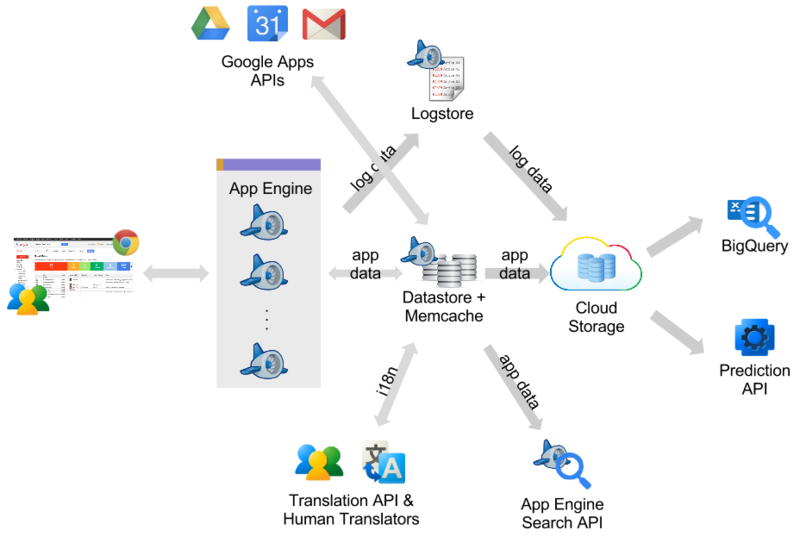 App Engine - We use App Engine for Java primarily to serve our application to the browser and mobile clients in addition to serving our API. App Engine is the source of truth for all our data, so we aggressively cache using Memcache. We also use Objectify to simplify access to the Datastore, which I highly recommend. Google Cloud Storage - We mirror all of our Datastore data as well as all our log data in Cloud Storage, which acts as a conduit to other Google cloud services. 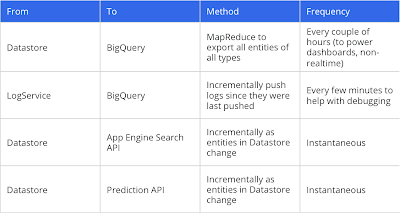 It lets us archive the data as well as push it to BigQuery and the Prediction API. Which requests cost us the most money? What is the average response time for every URL on our site over the last 3 days? BigQuery helps us monitor error rates in our application. We process all of our log data with debug statements, as well as something called an “error type” for any request that fails. If it’s a known error, we'll log something sensible, and we log the exception type if we haven’t seen it before. This is beneficial because we built a dashboard that queries BigQuery for the most recent errors in the last hour grouped by error type. Whenever we do a release, we can monitor error rates in the application really easily. In order to move the data into Cloud Storage from the Datastore and LogService, we developed an open source library called Mache. 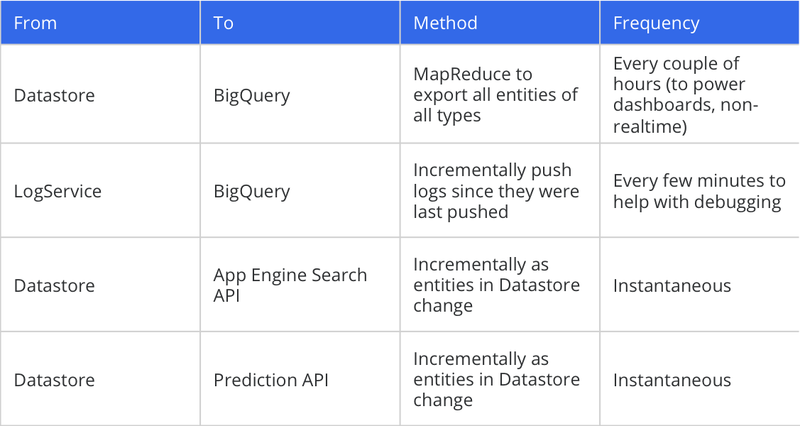 It’s a drop-in library that can be configured to automatically push data into BigQuery via Cloud Storage. The data can come from the Datastore or from LogService and is very configurable - feel free to contribute and give us feedback on it! Google Cloud Platform also makes our application better for our users. We take advantage of the App Engine Search API and again mirror our data there. Users can then query their Streak data using the familiar Gmail full text search syntax, for example, “before:yesterday name:Foo”. Since we also push our data to the Prediction API, we can help users throughout our app by making smart suggestions. In Streak, we train models based on which emails users have categorized into different projects. Then, when users get a new email, we can suggest the most likely box that the email belongs to. Having these technologies easily available to us has been a huge help for Streak. It makes our products better and helps us understand our users. Streak’s user base grew 30% every week for 4 consecutive months after launch, and we couldn’t have scaled this easily without Google Cloud Platform. To read more details on why Cloud Platform makes sense for our business, check out our case study and our post on the Google Enterprise blog. Check out GrexIt - http://grexit.com. It lets you collaborate from your Gmail inbox using Shared Labels. Its a simple, intuitive way to collaborate that works from any email client, does not require you to learn anything new, and lets you stay in your email inbox. Really nice post.I askef a Doctor in US to bring medicine for delivery stretch mark and he brought Triamcinolone Acetonide Cream Usp 0.1%. Is it good medicine.Made in Actavis Mid Atlantic LLC. US. I want to know is it a good medicine and also I want to know it works? Great post Aleem! I was reading up on project software when I came across your article. I'm happy I did because this was such a informative article about the Google cloud platform. Thank you for sharing this with us! I am just new to your blog and just spent about 1 hour and 30 minutes lurking and reading. I think I will frequent your blog from now on after going through some of your posts.